This Sunday is called “The Sunday of Orthodoxy” or “The Triumph of Orthodoxy,” since on this day the Holy Church solemnly commemorates her victory over Iconoclasm and other heresies. And this triumph of Orthodoxy took place not just a thousand years ago. No – for due to the mercy of God, the Church up to this day, now here and now there, gains victory and is triumphant over her enemies – and she has many of them. It is not a coincidence that the Church is likened to a ship, sailing amidst a ferocious, stormy sea which is ready to drown it in its waves. And the further the ship sails, the harder the waves slam against it, the fiercer they attack it! But the harder the waves hit the ship, the further they are thrown away and rejoin the abyss and disappear in it, and the ship continues its triumphant sailing as before. For “the foundation of God standeth sure” (2 Tim. 2.19), since the Church of Christ is built on an immovable rock, and “the gates of hell shall not prevail against it” (Matt. 16.18). The Church of Christ is the kingdom not of this world. It does not possess any of the attractions of the earthly world. It is persecuted and slandered. Yet it not only avoids perishing in the world, but grows and defeats the world! This happens everywhere, and here in our land as well. “We cannot but speak the things which we have seen and heard” (Acts 4.20). It is true that our Church here cannot boast of the quantity of its members, neither of their erudition. Just like the “preaching of Christ crucified” (1 Cor. 1.23), for some it seems lowly and contemptible, and for others it seems simple and foolish, but in reality “God’s power and wisdom” (1 Cor. 1.24) are concealed in it. It is strong and rich with the authenticity of the doctrine which has been preserved unaltered, with full adherence to the guiding regulations of the Church, a deep sense of liturgical service, and a plenitude of grace. And with all of this it is gradually attracting the hearts of people, and it is growing and getting stronger more and more in this country. You brethren have witnessed and seen for yourselves the growth and strengthening of Orthodoxy here. Just a mere twelve to fifteen years ago, we, aside from faraway Alaska, barely had any churches here. There were no priests, and the Orthodox people numbered only in a few dozens and maybe a few hundreds. And even they lived dispersed, far from one another. And now? “The Orthodox are seen this day in this country.” Our temples appear not only in big cities but in obscure places as well. We have a multitude of clergy, and tens of thousands of faithful – and not only those who have been Orthodox for a while, but those who have converted from among the Uniates. Schools are opened, the brotherhoods are established. Even strangers acknowledge the success of Orthodoxy here. So how can we ourselves not celebrate “The Triumph of Orthodoxy,” and not thank the Lord who helps His Church! But it is not enough, brethren, only to celebrate “The Triumph of Orthodoxy.” It is necessary for us personally to promote and contribute to this triumph. 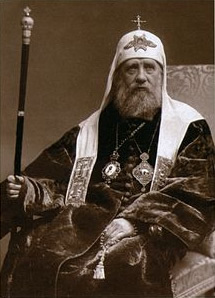 And for this we must reverently preserve the Orthodox Faith, standing firm in it in spite of the fact that we live in a non-Orthodox country, and not pleading as an excuse for our apostasy that “it is not the old land here but America, a free country, and therefore it is impossible to follow everything that the Church requires.” As if the word of Christ is only suitable for the old land and not for the entire world! As if the Church of Christ is not “catholic”! As if the Orthodox Faith did not “establish the universe”! Furthermore, while faithfully preserving the Orthodox Faith, everyone must also take care to spread it among the non-Orthodox. Christ the Savior said that having lit the candle, men do not put it under a bushel but on a candlestick so that it gives light to all (Matt. 5.15). The light of the Orthodox Faith has not been lit to shine only for a small circle of people. No, the Orthodox Church is catholic; she remembers the commandment of her Founder, “Go ye into all the world and preach the Gospel to every creature and teach all nations” (Mark 16.15; Matt. 28.19). We must share our spiritual richness, truth, light, and joy with others who do not have these blessings. And this duty does not only lay upon the pastors and the missionaries but on the lay persons as well, since the Church of Christ, according to the wise comparison of the Holy Apostle Paul, is the body, and every member takes part in the life of the body. By means of all sorts of mutually binding bonds which are formed and strengthened through the action of every member according to his capacity, the great Church body receives an increase unto the edifying of itself (cf. Eph. 4.16). The ever-living personality of God-man Christ is precisely the Church. The Church is always personality, ‘theanthropic”, body and spirit. The definition of Church, her life, her purpose, her spirit, her plan, her ways, all these are given in the wondrous Person of Christ. 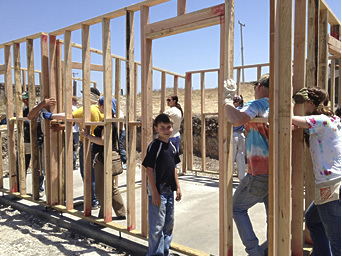 Hence, the mission of the Church is to make every one of her faithful, organically and in person, one with the person of Christ; to turn their sense of self into a sense of Christ, and their self-knowledge (self-awareness) into Christ-knowledge (Christ-awareness); for their life to become the life in Christ and for Christ; their personality to become personality in Christ and for Christ; that within them might live not they themselves but Christ in them (Gal. 2:20). The mission of the Church is still to bring about in her members the conviction that the proper state of human personhood is composed of immortality and eternity… and the conviction that man is a wayfarer who is wending his way in the sway of time and mortality towards immortality and all eternity. The Church is God-human [“theanthropic”], eternity incarnated within the boundaries of time and space. She is here in this world but she is not of this world (Jn. 18:36). She is in the world in order to raise it on high where she herself has her origin. The Church is ecumenical, catholic, God-human, ageless, and it is therefore a blasphemy – an unpardonable blasphemy against Christ and against the Holy Spirit – to turn the Church into a national institution, to narrow her down to petty, transient, time-bound aspirations and ways of doing things. Her purpose is beyond nationality, ecumenical, all-embracing: to unite all men in Christ, all without exception to nation or race or social strata…. The means and methods of this all-human God-human union of all in Christ have been provided by the Church, through the holy sacraments and in Her God-human works (ascetic exertions, virtues). And so it is: in the sacrament of the Holy Eucharist the ways of Christ and the means of uniting all people are composed and defined and integrated. Through this mystery, man is made organically one with Christ and with all the faithful. Likewise by ascetically exerting the God-human virtues: faith, prayer, fasting, love, meekness, thorough compassion and giving alms, a man consolidates himself in this union and preserves himself in its sanctity, personally experiencing Christ both as the unity of his own personality and as the essence of his union with the other members of the body of Christ, the Church. … The mission of the Church, given by Christ and put into practice by the Holy Fathers, is this: that in the soul of our people be planted and cultivated a sense and awareness that every member of the Orthodox Church is a Catholic Person, a person who is for ever and ever, and is God-human; that each person is Christ’s, and is therefore a brother to every human being, a ministering servant to all men and all created things. This is the Christ-given objective of the Church. Any other is not an objective of Christ but of the Antichrist. The means of attaining that objective: Faith; Prayer and Fasting; Love; Meekness and Humility; Patience…. 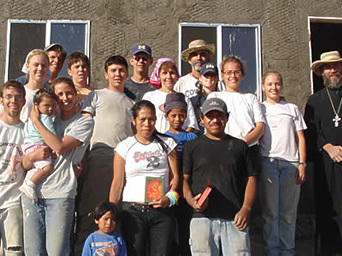 Our Church’s mission is to infuse these God-human virtues and ascetic exertions into the people’s way of living; to have their life and soul knit firm with the Christlike God-human virtues. For therein lies the soul’s salvation from the world and from all those soul-destroying, death-dealing, and Godless organizations of the world…. And today only Orthodox ascetic efforts and virtues can bring about sanctity in every soul, in the soul of all people – seeing that the God-human objective of the Church is unalterable and its means are likewise so, since Christ is indeed the same, yesterday and today and unto all ages (Heb. 13:8). Herein lies the difference between the world of men and the one in Christ…. 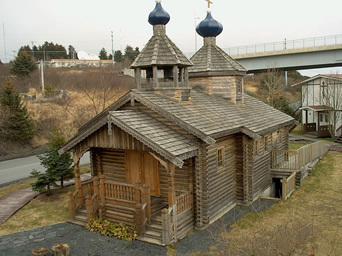 This mission of the Church is facilitated by God Himself because among Orhtodox people there exists an ascetic spirit as related by Orthodoxy through the centuries… Ascetic exertion, at the personal, family, and parish level, particularly of prayer and fasting, is the characteristic of Orthodoxy…. Orthodoxy is ascetic effort and it is life, and it is thus by effort and by life that her mission is broadcast and brought about. The development of asceticism… this ought to be the inward mission of our Church. 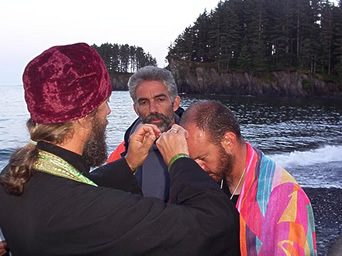 The parish must become an ascetic focal point… Prayer and fasting, the Church-oriented life of the parish, a life of liturgy: Orthodoxy holds these as the primary ways of effecting rebirth in people…. Archbishop Anastasios of Albania - "Go Ye"
It is not a question of “can we?” but of an imperative command “we must.” “Go ye therefore and teach all nations.” “Go ye into all the world and preach the Gospel to every creature.” There is no “consider if you can,” there is only a definite, clear cut command of Our Lord… If we let ourselves rest peacefully in this habitual inertia in the matter of missions, we are not simply keeping the pure light of the Faith “under the bushel,” but we are betraying one of the basic elements of our Orthodox tradition. 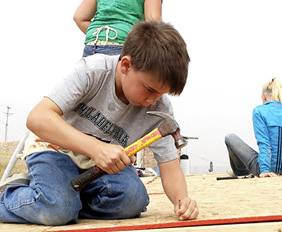 For missionary work has always been a tradition within the Orthodox Church… Missionary activity is not simply something “useful” or just “nice,” but something imperative, a foremost duty, if we really want to be consequent to our Orthodox Faith. Church without mission is a contradiction in terms… If the Church is indifferent to the apostolic work with which she has been entrusted, she denies herself, contradicts herself and her essence, and is a traitor in the warfare in which she is engaged. A static Church which lacks vision and a constant endeavor to proclaim the Gospel to the oikoumene [“whole inhabited world”] could hardly be recognized as the one, holy, catholic and apostolic Church to whom the Lord entrusted the continuation of His work. Only when it is realized that worldwide mission is an initial and prime implication in a fundamental article of the Creed*, elemental for the Orthodox comprehension of what the Church is, and that what is termed “mission” is not an external matter but an inner need, a call to repentance and aligning ourselves with the spirit of the Gospel and the tradition of our Church, only then shall we have the proper and hope-bearing theological start for what comes next. *When Orthodox Christians confess, “I believe in one… apostolic church,” apostolic does not refer only to apostolic succession. More importantly, it implies having an “apostolic fire and zeal to preach the gospel ‘to every creature’ (Mk 16:15), because it nurtures its members so that they may become ‘witnesses n Jerusalem and in Judea and Samaria, and to the end of the earth” (Acts 1:8). It is not simply obedience, duty or altruism. It is an inner necessity. “Necessity is laid upon me,” said St. Paul, “Woe to me if I do not preach the gospel” (I Cor. 9:16). All other motives are aspects of this need, derivative motives. Mission is an inner necessity (i) for the faithful and (ii) for the Church. If they refuse it, they do not merely omit a duty, they deny themselves. The Christian who is incorporated into Christ and who really lives in HIm cannot think, feel, will, act or see the world in a different way from Christ. The Summer of ’03, His Grace Bp. Nikolai of Alaska invited our parish to Kodiak, Alaska to help with much needed rebuilding and repair of St. Herman Seminary. Through the prayers of St. Herman 24 persons responded to this call, and for two weeks in August under beautiful blue Alaskan skies we applied vinyl siding to the seminary buildings, cleaned, stained and sealed the “All Saints of Alaska” log chapel, re-furbished the seminary kitchen, repaired the boiler systems, and other miscellaneous projects. The highlight of the trip was our participation in the annual St. Herman Pilgrimage to Spruce Island. It was an experience many will never forget. 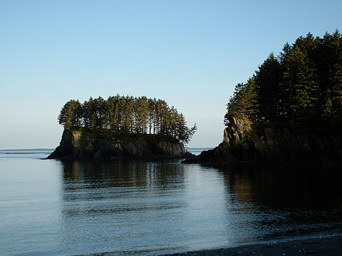 The summer of ’04 we returned to Kodiak. This time Bp. 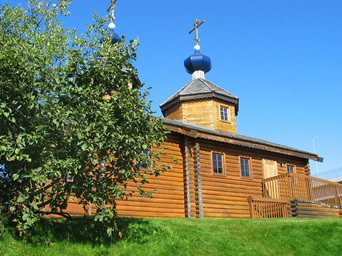 Nikolai asked that we spend two weeks on Spruce Island working on the Saints Sergius and Herman chapel. Two weeks living, praying and working at the very place where St. Herman lived, prayed and worked—how could we refuse such a gift! We stripped and replaced the siding, rebuilt and shingled the entire roof structure, applied a fresh coat of paint to the interior, and created a processional path around the chapel. Again blessed with stunningly blue skies the entire time, all felt deeply the blessed opportunity to work in such a holy place.